Are You Looking For Professional Wallpaper Installation Sydney? New wallpaper can dramatically change the look of your home or business. We offer the best wallpaper installation Sydney and surrounding suburbs professional painting and wallpaper removal both residential and commercial at a competitive price. At Total Colour we are crucial that wallpaper hanging is performed with the right tools and the right knowledge to ensure that you enjoy your wall coverings for many years, Our installers are insured and trained to provide the highest quality finish. 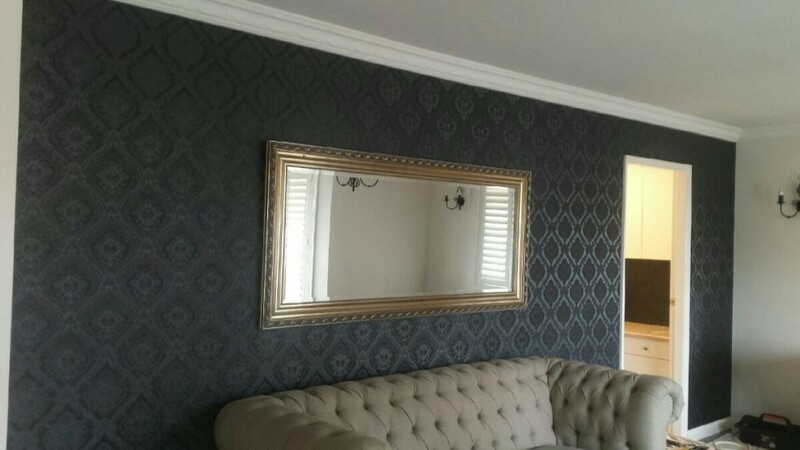 With over 15 years experience our highly skilled wallpaper installer will ensure that you will get the best quality finish, if you feel like a room could do with a new lease of life, then get in touch with us for expert wallpapering today! Whether you want to wallpaper a feature wall or an entire room, we can provide you the best value in wallpapering services. Providing affordable prices but the most premium quality wallpaper installation in Sydney.